My recipe is made stove top and in one skillet. It’s ready in minutes and it is unbelievably delicious. Enjoy the way it is or make a sub. But just be sure to make it. Of course I use my Mama Mancinis meatballs in sauce but you can use yours. Mine will save you hours. Place the pre made meatballs and sauce in a skillet and heat till fully heated. 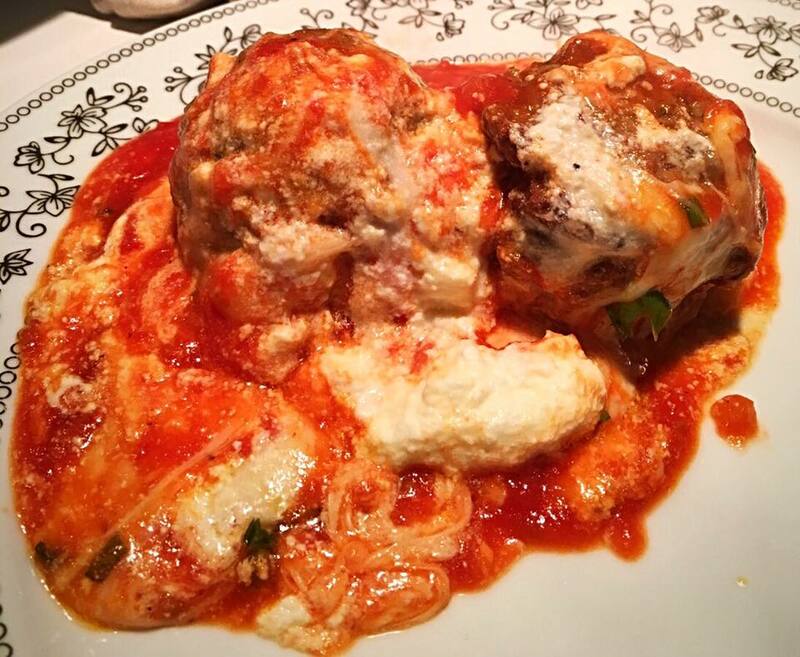 Top with dollops of ricotta cheese, fresh shredded mozzarella and some grated Romano or Parmesan cheese. Place a tight fitting lid on the skillet and put the heat to low. Heat for 4 minutes, remove from the heat and do not remove the lid.